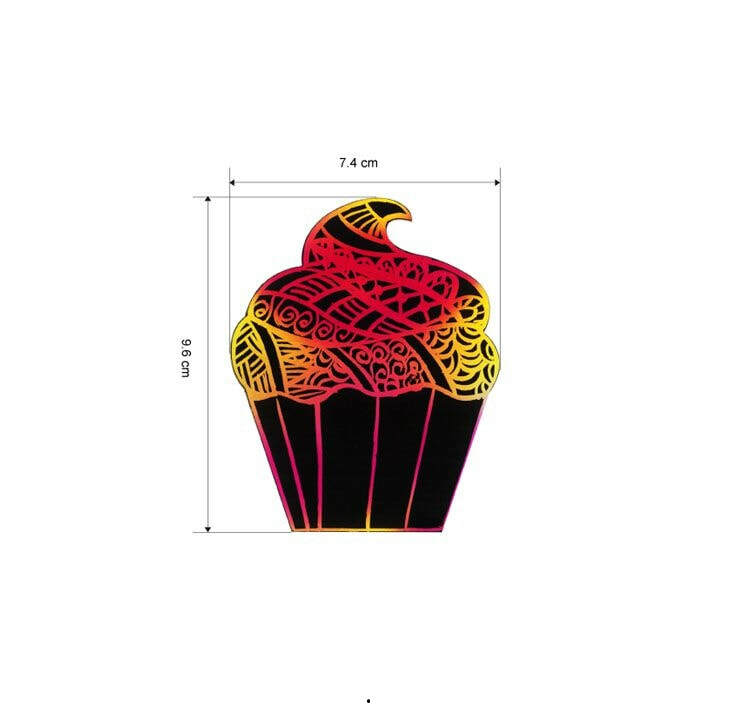 ​Everybody loves cupcakes! 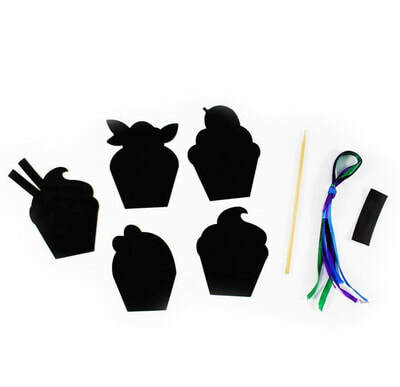 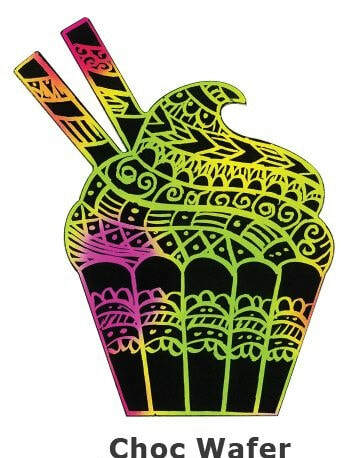 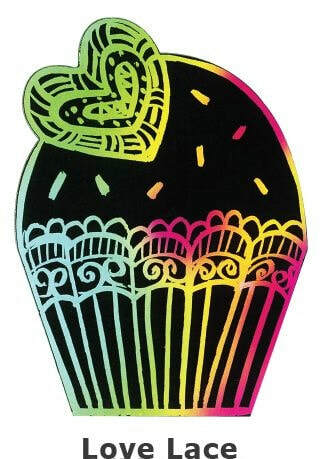 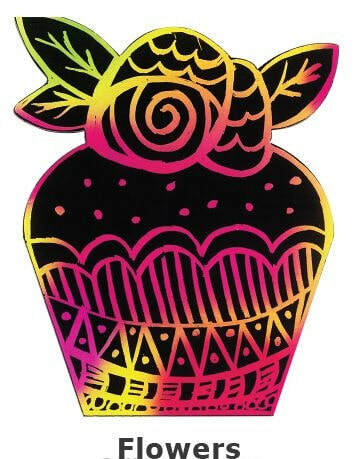 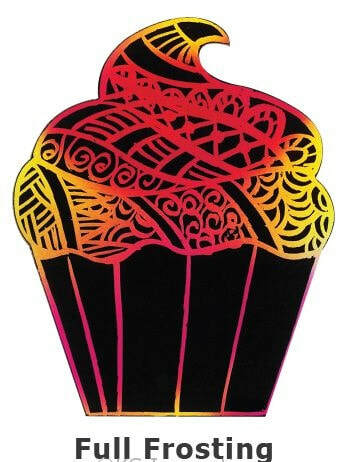 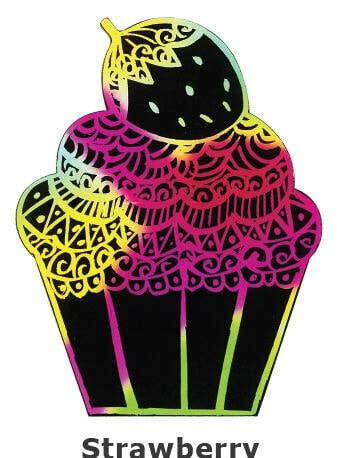 Create yummy looking Scratch Art cupcakes in 5 different shapes to draw on - Strawberry, Love Lace, Full Frosting, Chocolate Wafer and Flowers. The material behind this Scratch Art surface is a tough and sturdy artcard backing. 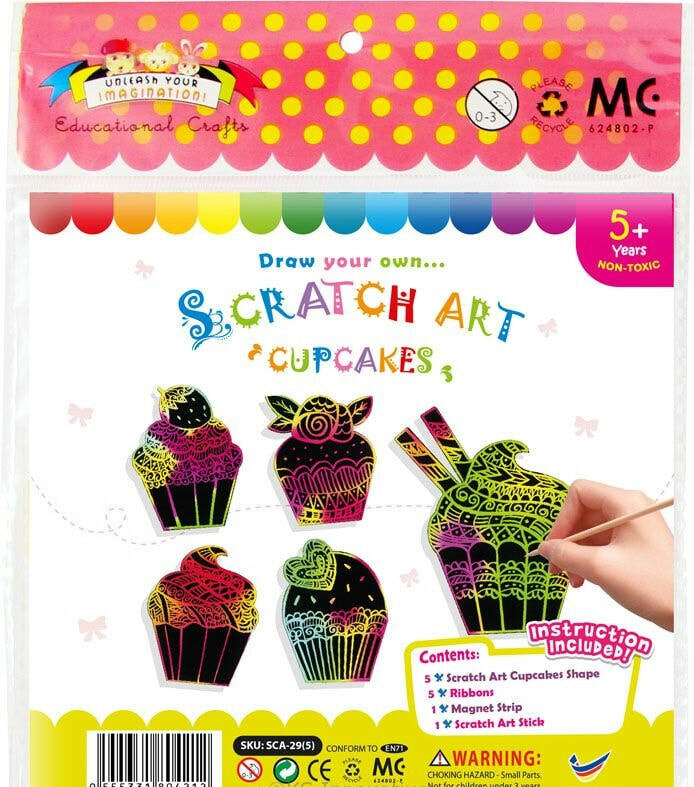 Scratching the black surface with the provided scratch art stylus will reveal beautiful rainbow-like colours underneath! 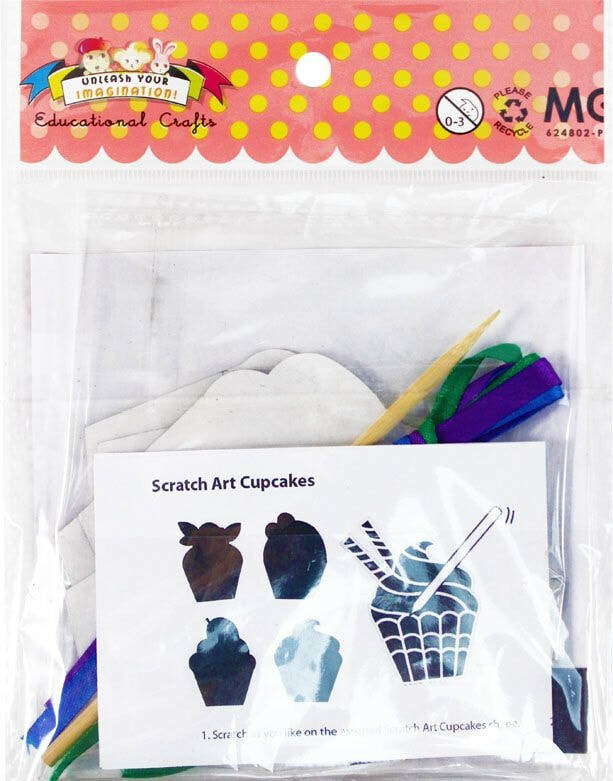 You can choose to punch a hole and hang it using ribbons or stick magnet strip behind as fridge magnets. 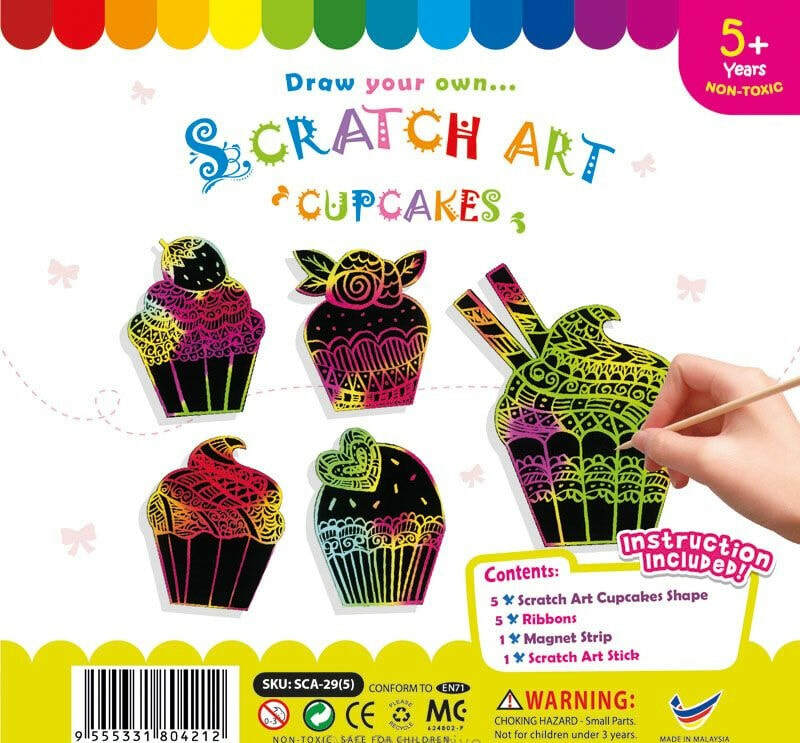 Note that this craft is extremely addictive! Great as a past-time hobby and even better as a kids' parties and events craft.